The main focus of our work has conducting medical missions and training programs and since it's inception IHP has provided thousands of free treatments in Latin America and the Caribbean. In addition to these clinics, IHP has provided free training for over 60 local providers in auricular (ear) acupuncture and other types of basic Chinese medicine techniques and other treatment modalities including, yoga, meditation and different forms of body work. One of the things that sets our missions apart is our collaboration between Chinese medicine and biomedicalproviders. Doctors, nurses, chiropractors and physical therapists have made our volunteer teams richer and more effective and our work truly “integrative.” Locally we work to establish a network of integrative care with locally available health services. IHP programs are designed so that everyone is a winner. The visiting volunteer has the opportunity to "give back" while improving their skills in the face of challenging situations. Local residents are able to receive healthcare otherwise unavailable and are provided with the tools to provide continuing care to their communities. Our programs have supported local organization's that work to reduce violence and empower women. All our work is done though partnerships with established local organization's who best know area needs. 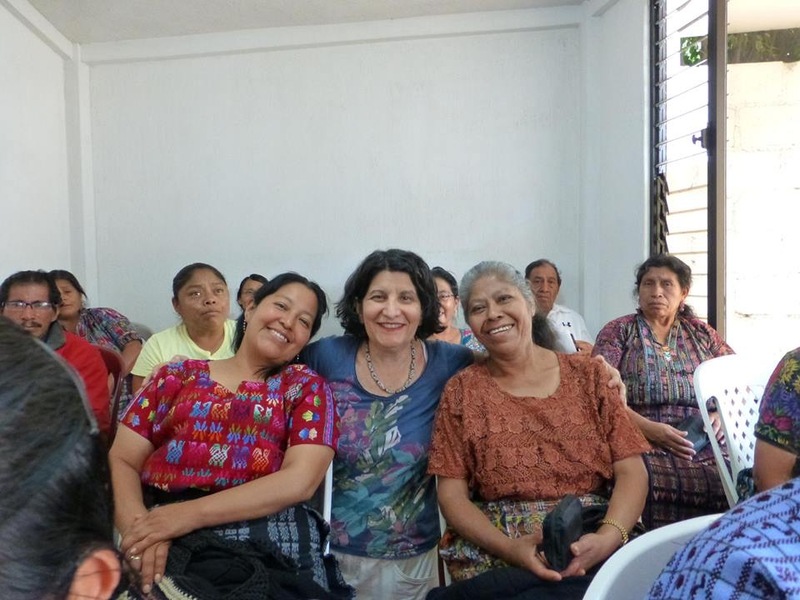 In Guatemala we are working with the federal Ministry of Health local treatment centers in Solola. We also work with Salud y Acupunctura para el Pueblo based in San Juan, Puerto Rico. IHP is completely run by volunteers. We invite you to join us. Joan Boccino is an acupuncturist and herbalist nationally certified in Oriental Medicine by the NCCAOM and licensed in New York Stare since 1997. She is also a NADA certified Acupuncture Detox Specialist and Registered Trainer. Dr. Boccino was the first non-MD acupuncturist to work at Memorial Sloan-Kettering's Integrative Health Service where she helped develop clinical trials and provided direct patient care. She currently is an Acupuncture Preceptor at NYU-Langone Brooklyn and a professor at the Pacific College of Oriental Medicine in New York. She also maintains a busy private practice in Manhattan. Dr. Boccino has lectured internationally on Chinese medicine and is one of the founders of IHP. When not involved in Chinese medicine related activities, Joan studies Seido-kan, a traditional Japanese style of karate where she holds the rank of Nidan. She also writes a food blog, "Five Flavors Kitchen". Yefim Gamgoneishvili is an NCCAOM certified acupuncturist and herbalist with 25 years of clinical experience and has been teachingat the top Chinese medicine schools in the United States since 1997. Prior to that Yefim worked as an EMT. Throughout his career Yefim has been involved with community based medicine and has experience treating a wide range of disorders. In 1998 Yefim began studying Applied Channel Theory With Dr. Wang Ju Yi and regularly continues to travel to Beijing to study with Dr. Wang in his clinic. A much sought after speaker, Yefim travels internationally teaching professional seminars on Dr. Wang's Applied Channel Theory and the treatment of orthopedic disorders. Yefim brings his passion for Chinese medicine and teaching to The Integrative Health Project where he has played a key role since it's first missions. Jenny Walker is a Family Physician who is also certified as a NADA Acupuncture Detox Specialist (ADS) and works in an inner-new York City clinical setting. She has long focused on theprevention of disease (including nutrition, safety, behavior change, etc) and involving patients in their own care. Dr. Walker thinks it is essential tointegrate the various approaches to health care available to meet the needs of individual patients. She is committed toproviding excellent care to everyone, not just the super-rich/well-insured. Dr. Walker went on her first mission with IHP in 2013 and has been involved with the organization since then. With over 30 years experience in the field of public health, Jenny is a long-time community organizer, an educator (has taught at all levels from pre-K to medical school), a published poet and photographer.